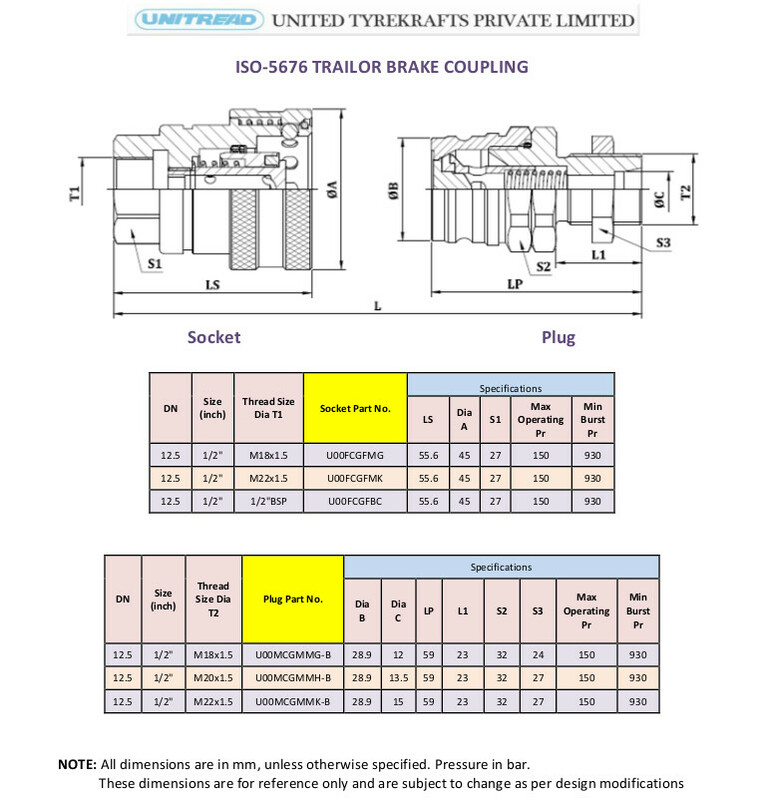 The brake line coupling was developed for utilisation in hydraulic brake systems. The locking of the halves of the coupling is carried out with precision spheres. The design of the flat valves guarantees absolute tightness, minimal oil loss and the avoidance of air becoming trapped during coupling. 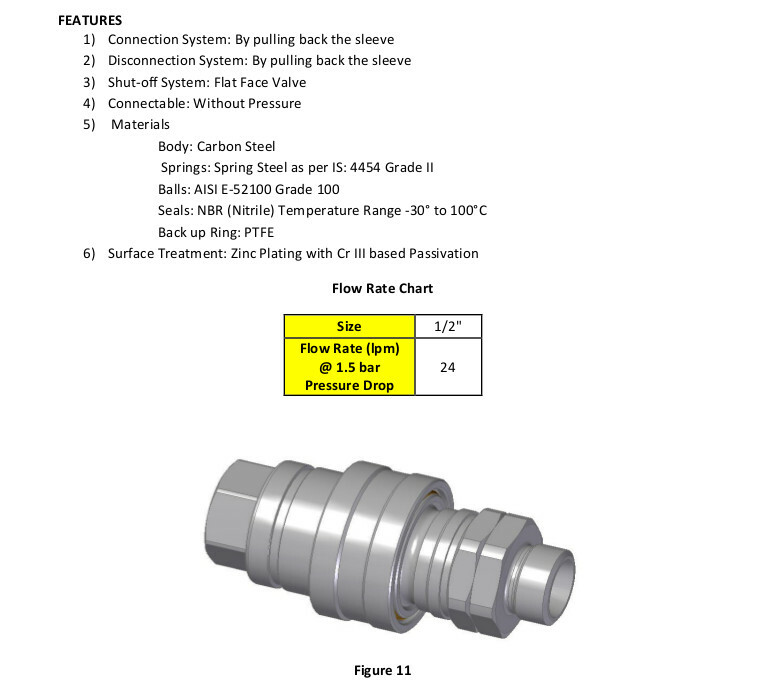 The design of the coupling is in accordance with ISO 5676. © United Tyrekrafts Pvt. Ltd.